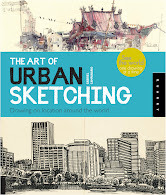 "If you love a splash of spontaneity in your artwork, The Art of Urban Sketching delivers truckloads of it. A great deal of the book’s charm is in the seemingly arbitrary moments at which ink, pencils and watercolors are produced, a curb suddenly becomes a chair, two knees form an easel, and an accounts ledger, a canvas. (You certainly wouldn’t want to be going somewhere in a hurry with one of the book’s contributors!)" 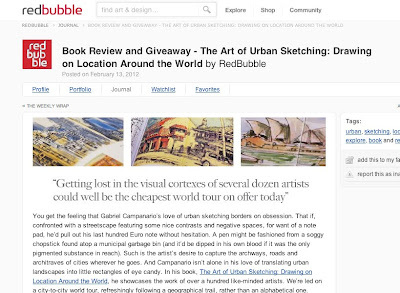 Read the full review on RedBubble.